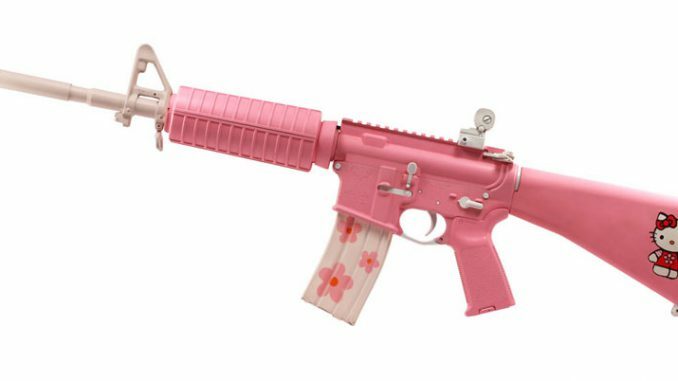 After showing a woman on the street a picture of the Hello Kitty rifle and getting a laugh from her, he then proceeds to tell her “that it is a weapon used by the military”. The military is using semi-automatic civilian AR15’s now? Wow, maybe that is why it is taking us so long to finish up in Iraq.